Instead of digging unsightly, damaging trenches, we use a variety of incredible technologies that allow us to work underground without removing soil from your yard—protecting your landscape and saving you from costly property renovations. 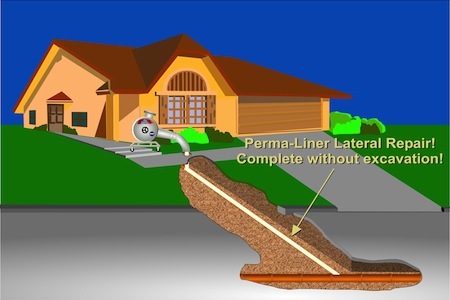 Regardless of your problem, our trenchless Perma-Liner products can create solutions. Our trenchless lateral lining services use Perma-Liner solutions to line and reinforce the inside of pipes underground or within walls. These solutions can also reinstate sections of complex pipe systems without tearing into walls. Innovative trenchless solutions can also repair municipal manhole-to-manhole systems, using the same Perma-Liner solution as lateral lining to patch up pipe damage. During repairs, we use bypass pumps to keep sewer and water systems running. Trenchless technology can also repair damaged pipe segments, for cases where full pipe repairs are impractical. The Perma-Liner solution used in sectional repairs can last well beyond 50 years! 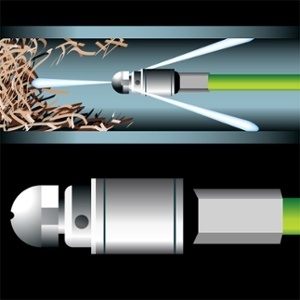 Trenchless pipe bursting is used to fully replace pipes beyond repair. Using a bursting head, this technique fragments your existing pipe line and seamlessly lays a new one in its place. As the new pipe directly follows the bursting head, no digging is required. We can also replace water pipes by pulling the old ones out and pushing the new ones in simultaneously so that we don’t need to rip anything up or do an excessively large amount of work for a small pipe.